Welcome to the february's nail challenge! 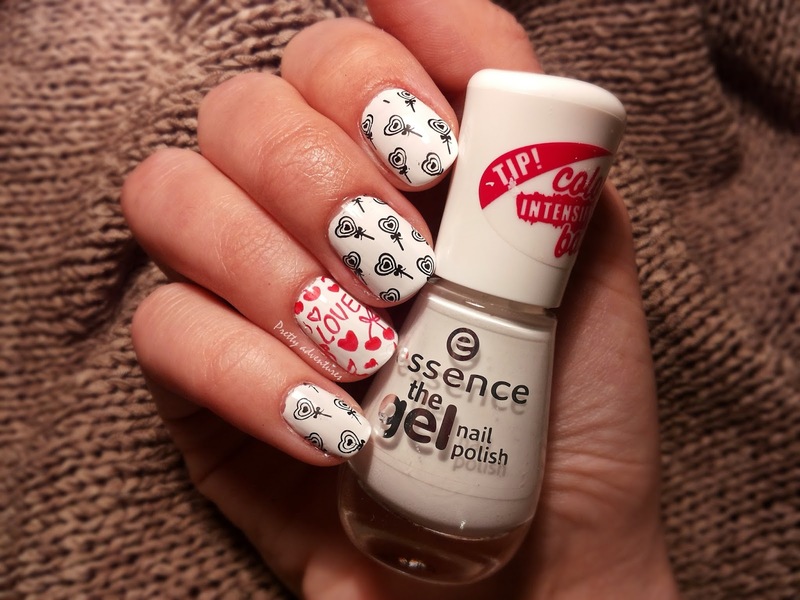 I've decided to join a lovely group of ladies from all over Romania (fellow bloggers and nail polish addicts) and take part in their monthly nail challenges! Uuuh that sounds like a lot of fun! At least, this way I can make sure, there's a post on the blog every saturday (or sunday...ups). So let's see what we have for today! 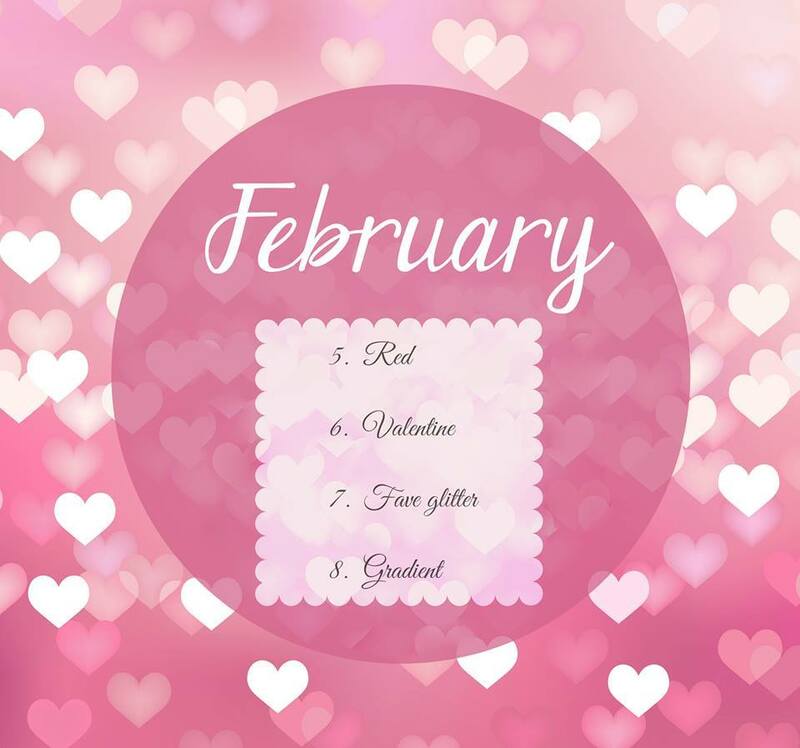 The first theme of the month is RED - as you can see below the topics are slightly Valentine themed. And this brings me some memories.... about the first challenged I ever took part in and actually "hosted" - the Valentine's Day Series. Oh dear, those are some newbie posts! I'm sorry but I'm not done with my stamping frenzy just yet. I just couldn't resist the temptation to use this cute design that's so appropiate for the love festival to come. 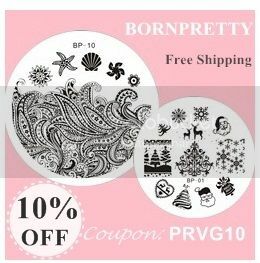 I received this stamping plate from Born Pretty Store. I can't wait to try out all the patterns! For the base I used Essence Wild white ways. I know that there isn't a lot of red on my nails but I just didn't feel like wearing it, even though I usually like it on my nails. De curand am primit si eu placuta aceasta si trebuie sa-i pregatesc un review. Chiar ieri ma uitam la ea ca nu stiu ce model sa aleg. Sunt "delicioase" toate.